I'm inane!!! 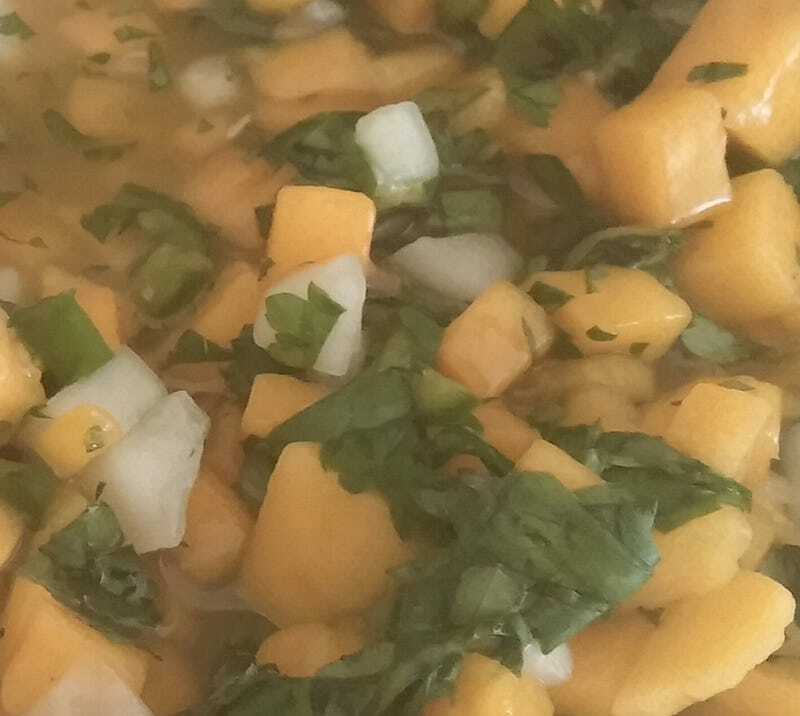 Mango Salsa: Success! Inane! (I am SO happy to be inane! ): I'm sure the rest of the civilized world is tired of mango salsa by now, but I'm in the definition of "flyover state" and hadn't bothered to make it yet, after that watermelon salsa I made like 8 years ago turned out to be really good, but really odd. Mango salsa is like pico de gallo for people who don't like tomatoes (UncleKim is just weird). Basically, I used one mango and two seeded serrano peppers instead of that wimpy 1T jalapeno (I mean, c'mon) and less onion (UncleK again), and less cucumber (UncleK is rather... Irish-American, have I mentioned that?He basically grew up with canned corn and canned green beans as a side to every meal), but this is the STUFF. It's crazy, crazy good and I may eat it all before dinner if I can wrestle it away from the youngest Ye'let. EVEN UNCLEKIM LIKES IT. (Old person reference: He likes it, hey Mikey!) The white chunks aren't onion, they're cucumber, and it definitely could use more, so, yk, you could follow the recipe. I think part of the success was in having a mango that was ripe enough to "give" when squeezed a bit, but not super-sweet. This is going to be amazing on salmon*, and you should all make it when you get the chance.